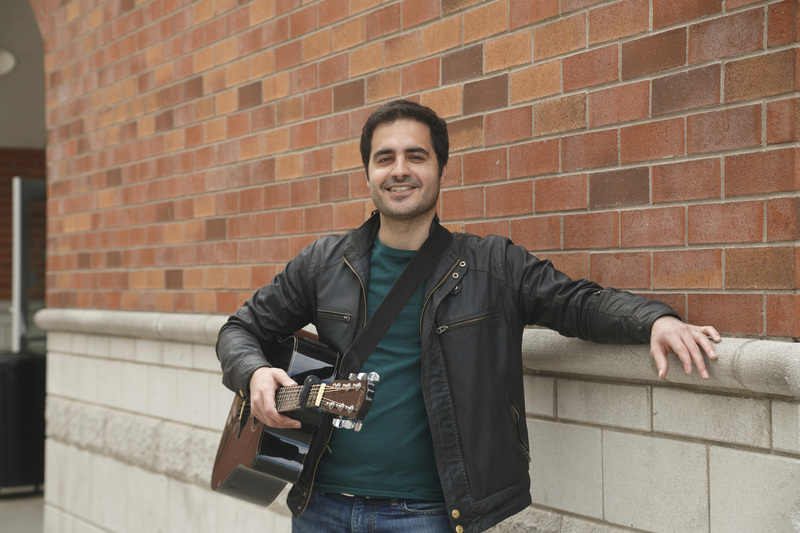 Born in Canada and raised in Portugal, Shawn Andrew is a singer-songwriter, composer, musician and music teacher based in London Ontario. Growing up in a small village of the Northeast of Portugal named Benlhevai, where he formed is first rock band, called smackthepone. They performed mainly in the north of Portugal at bars and outdoors local festivals. Shawn was also busy collaborating with other music groups such as Philharmonic Band of Vila Flor and the poco a poco ensemble from the Municipal Conservatoire of Bragança as well as others. Shawn began to pursue a musical career upon graduating with a bacheloor’s degree in Elementary Education and Music Education from the Polytechnic Institute of Bragança in Portugal. He taught various students for several years and then began to compose music for video games for mobile phones and devices. Currently, he continues to pursue his passion for teaching and music by working with children to raise awareness of the inspiration that music can bring to their lives. He also enjoys performing at many open mic's around the London area and offers his teaching services to those willing to learn the guitar. Unfortunately, your browser does not support the audio tag. Perhaps it's time for an Upgrade? For bookings, lessons, music or other general inquiries, please contact me using the below form. Copyright © 2016 Shawn Andrew. All Rights Reserved. info@shawnandrew.com and we will promptly remove you from ALL correspondence.